The Brief: A new meme format shows one fish swimming by itself in a tank next to a large group of fish. 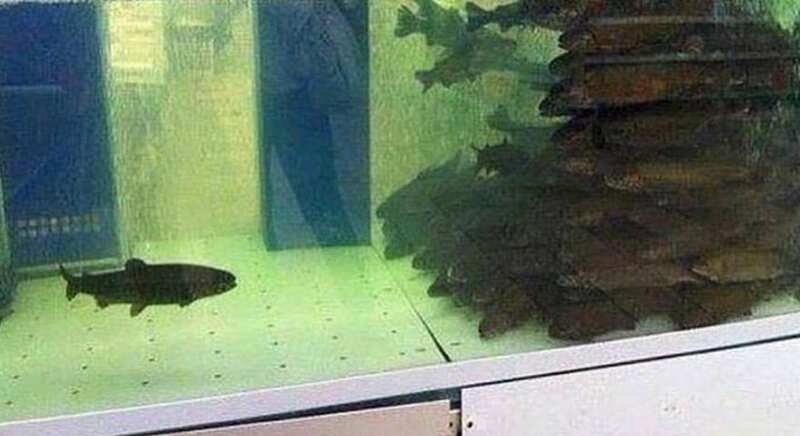 This fish tank meme, which is popular on Reddit illustrates situations in which one person or thing stands alone, while the rest of the world does something different. The lone fish can represent a trailblazer and/or outcast.